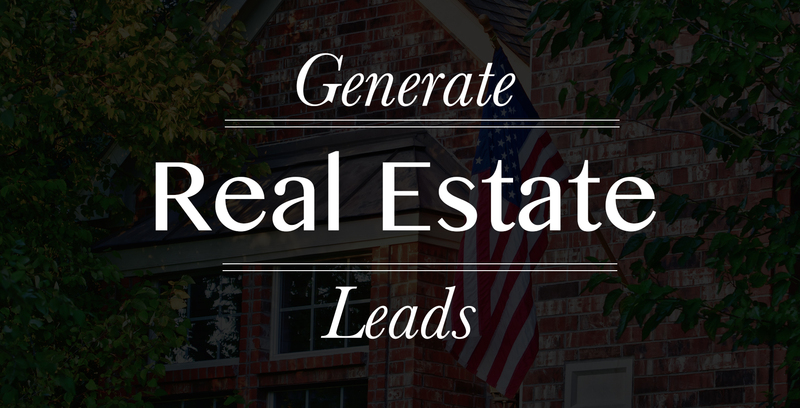 Generate top notch real estate agent leads with these 10 tips to dominate the real estate market. Learn how to generate more leads and find more qualified buyer prospects. There are many platforms such as Zillow, Tulia, and Realtor.com that generate leads for any agent willing to spend the extra money. And really, to answer realtors about getting leads cold-calling using these resources -you will need to make sure to have a good system in responding back quickly. Plus, even though you may have the skills to convert these leads into buyers, there is still no guarantee that you will actually get a qualified buyer. Some are ready to buy today, and others are at least six months away from when they will be ready. In any case, these are both good, it just comes down to how you manage them. And with a variety of tech gadgets to mobile marketing apps, you will need to decide what tools to add and have a strategy of acquiring leads. These are 10 great ways to generate leads for and some incentive. Follow these steps before forking out another dollar to a lead generation company. A heartfelt statement of a video testimonial is a great way to showcase your website and your happy customers. And when you share on other larger sites like Realtor.com, Zillow and Trulia, buyers and sellers will see through your honesty and make you have a higher probability to reach out. When you have clients who are purchasing a home, they ask themselves the question, “Is this agent someone I can work with?” A video can showcase your talents and yourself as an agent. A video is proven to bring a high volume of return on investment and has been proven to be an essential marketing technique for generating leads. People love having visual aids! Having great slideshows and infographics will feature the selling points of your properties. Using social media such as Facebook has become one of the most dominant forms of communication and is a very cost-effective tool. 94% of marketers use Facebook as a strategy in the marketing plans; it is practical, and a worthwhile advertising investment that pays off when generating leads. Most consumers start their home search online, and having lead capture forms on your website is a great way to bring in new customers. This is one of the best lead-generating tactics, but make sure your website is constantly updated. This will keep it fresh and more people will keep visiting, as well as increasing your traffic. Blogs increase your presence and showcase your expertise. Consistently communicate your grasp on things in real estate. Do not forget, this is a great way to create a platform to cast a fill-out lead generation form or to make a phone call. Buyers and sellers that receive your promotional e-mail are “leads” in your database, and you are much more likely to stay engaged, says, Local Records Office. Understand what stage your consumer is when in the decision making process is key as long as you are providing key information and keeping your prospects engaged. Make sure to offer additional valuable content, such as downloadable e-books, and that each content page has a distinct purpose. This is a great way to generate leads; as consumers fill out a form to get special “gated” content, such as housing data statistics, neighborhood guides, or suggestions for boosting curb appeal. Make sure when people visit your website, you have a selection of properties for sale, and make it a worthwhile experience.